Now, it starts to get serious! 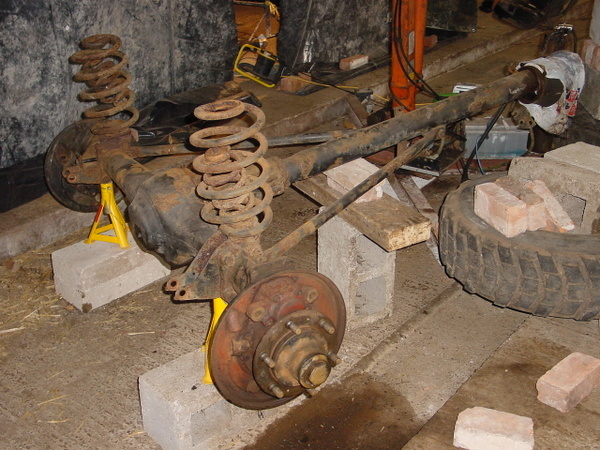 We haven't started attending to the front axle yet, it looks a little forlorn. It appears to be in better nick than the rear one, which has been exposed to the elements more. 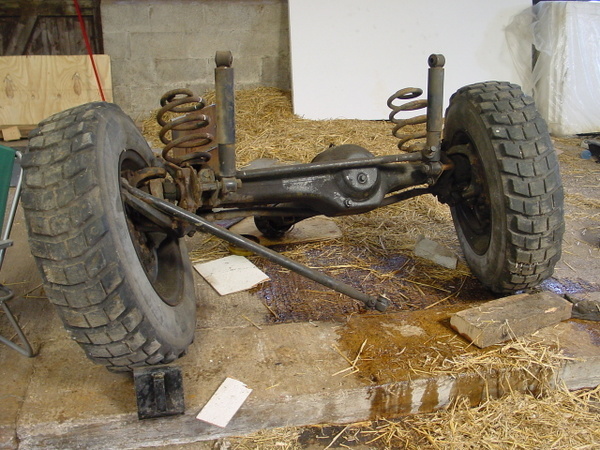 We're doing things in the order they go back on the chassis, and the rear axle is first. First I tried an angle grinder with a wire cup, which is OK but makes lots of dust and takes ages. Next was a sandblaster, which frankly is more trouble than it's worth - we're leaving it for corners and the like. Finally, we've found the air chisel takes off the top coat nicely, and the agnle grinder does the rest. Still a long job. 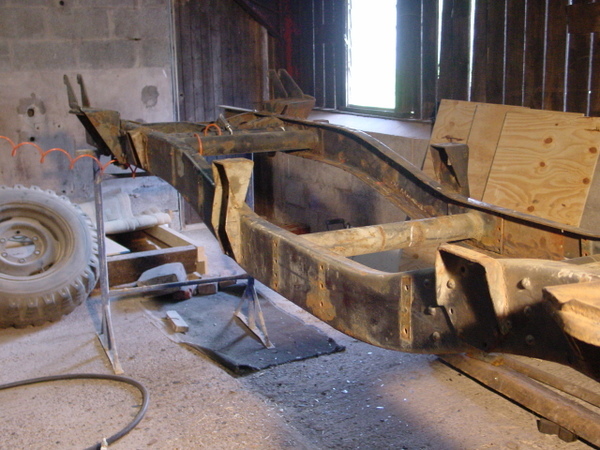 Will be nice to have a completely freshly painted chassis. 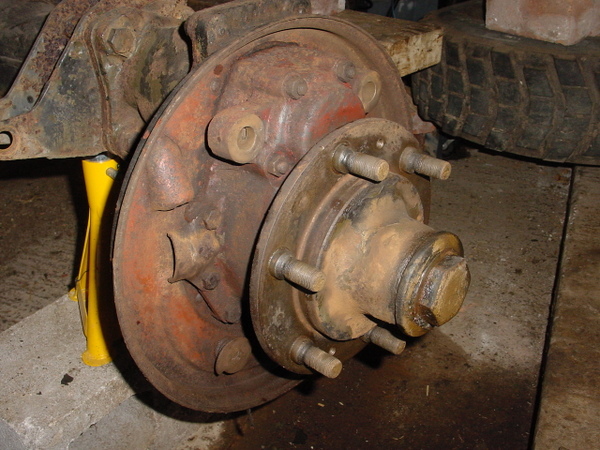 The back axle is midway, the brakes have been dismantled and the innards cleaned. We're not delving into the portal gears or differentials as we have no reason to - they work. We're just going to fix the brakes, flush the oil, grease and paint it. This is the typical state of the innards - pretty good!